Africa is seeing unprecedented growth, not only in its population but in projects aimed at modernizing its infrastructure and improving its various national economies. But the costs—and the ongoing challenges—are great. The United Nations estimates that the population of Africa has risen from 229 million in 1950 to more than 1.2 billion today. Projected growth at the present rate suggests that by 2050 the population could more than double to well over 2.5 billion. Corporations and investors from around the world have been quick to spot an opportunity. For example, The Economist reported that “a decade ago there were only 129m mobile-phone subscriptions in the whole of Africa. . . . But since then the number of active subscriptions has jumped to almost 1bn.” Taking into consideration that many Africans use multiple SIM cards, it appears that nearly half the population now owns a mobile phone. In order to cope with the significant population growth, a vast array of infrastructure programs are planned or under construction across the continent at a cost of multiple billions of dollars, including roads, rail, bridges, dams and energy projects. Examples include the North-South Corridor Program to rehabilitate and maintain 8,599 km (more than 5,300 miles) of roadways across seven countries, upgrade 600 km (373 miles) of rail, upgrade ports such as Dar es Salaam, and improve the energy generation potential of the Southern African Power Pool. In 2014 construction began on expanding the Suez Canal’s capacity. Completed in 2015, the $8.2 billion development (dollar amounts throughout are in US dollars) added a 35 km (22 mile) parallel shipping lane to allow ships to pass one another. The Egyptian government optimistically expects annual revenues to more than double by 2023 as trade increases. While Kenya’s main port, Mombasa, has long competed with Tanzania’s Dar es Salaam for the title of most dominant port on Africa’s east coast, a new port farther north at Lamu, Kenya, is in the planning stages and is expected to dwarf both of them. Meanwhile Tanzania is developing its own super port, Bagamoyo. If completed, it would be Africa’s largest port at an estimated cost of $10 billion. The name derives from the Swahili bwaga moyo, meaning “loss of the heart” or “lay down your heart.” The name reflected the hopelessness of those who were forced to the port city in past centuries to face an uncertain future as slaves. That hopelessness still finds a place today. While investment in African infrastructure projects has been forthcoming, it is at times difficult for African countries to retain interests in projects funded by other nations. In the case of Bagamoyo, a Chinese government construction firm expects to complete the job by 2045. An agreement with Oman and China stipulated that Tanzania was to raise $28 million for compensating displaced landowners, but when they managed to raise only $1.5 million, reports suggest that the Chinese construction firm stepped in to pay the compensation on the humiliating condition that Tanzania give up its share in ownership of the completed project. In fact, Chinese money has been pouring into African infrastructure projects and rapidly buying up African exports and resources. In 2013, Hong Kong–based development firm Shanghai Zendai Property Limited announced that it was building a $7–8 billion city outside Johannesburg, called Modderfontein New City. 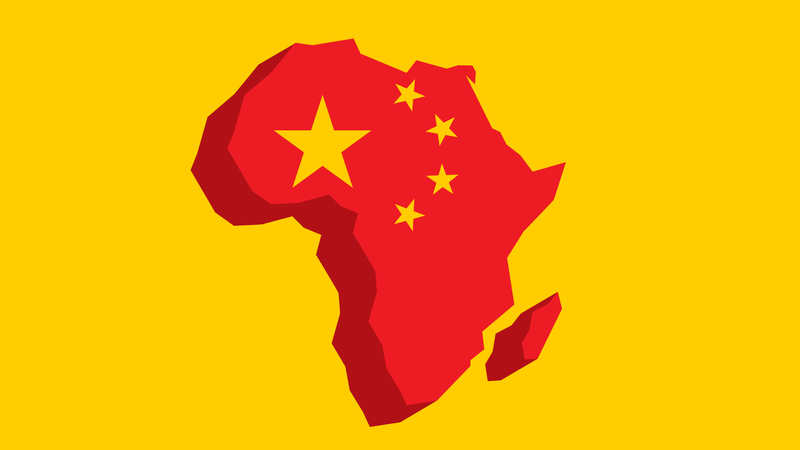 It will become a hub for Chinese firms investing in African infrastructure. China and Nigeria have also entered into an $11 billion contract to build the Lagos-Calabar coastal railway. It will stretch for 1,400 km, or 871 miles, linking ports and business hubs along the way. Where such an imbalance exists in an economy, education and health care are often more urgently needed than multibillion-dollar infrastructure projects that satisfy the ambitions of international investors. Africa has always been an incredibly resource-rich continent. Plenty has always been close at hand in many of its countries, often just beneath the earth in the form of commodities. While it does seem inevitable that Africa will continue to modernize, grow, develop and move further onto the world stage, the question remains as to whether that growth will really lead to more prosperity and opportunities for its populace. If population growth projections are realized, then billions of people may be relying on decisions made today that are more concerned with profit than with people. The history of Africa would suggest that the expected salvation of localized infrastructure projects and technology will not provide the much-needed deliverance. The greed of the few within Africa, and of all the nations that have long sought to exploit its riches, is still one of the continent’s biggest problems. In that, of course, Africa is not alone. Such greed will eventually lead all nations into a confrontation with the Creator. A globalized, self-oriented world is spoken of in the Bible’s final prophetic book. And there we learn that deliverance will come not through the worldwide trading of commodities (see Revelation 18) but through the establishment of a moral order that has every human being’s good at heart. Alliance for a Green Revolution in Africa (AGRA), Africa Agriculture Status Report: The Business of Smallholder Agriculture in Sub-Saharan Africa, Issue No. 5 (2017). Insight Video: The Chinese Century?